Posted byadmin	 December 31, 2016 Leave a comment on Goodbye, 2016… Hello, 2017! For Mystics Anonymous, 2016 was pretty eventful. We finished up our new EP, She Wanted the Future, and released it halfway through the year in June. 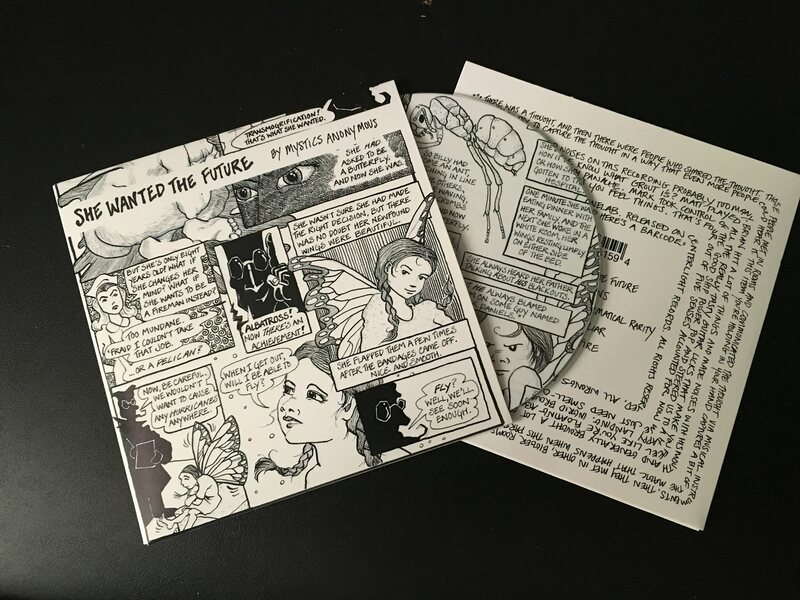 In addition to the usual download and CD versions, we had a limited edition version that came with a 10-page comic book illustrated by Ingrid Steblea. That was partially funded by an Indiegogo campaign, and we thank everyone who pre-ordered that way and helped make it happen! Once released, the EP garnered some very positive reviews in the press and even a little airplay, most notably on Boston Free Radio and the Sokol Heroes show on 93.9 The River. Thanks, guys! 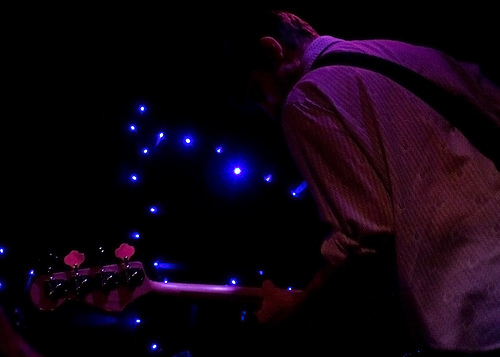 Mystics also played some fun shows–a few rare solo shows from yours truly, with covers from Camper Van Beethoven and Echo & the Bunnymen sprinkled in among other surprises. Two EP Release shows with the full band and special guests in fun rooms with good crowds! Two tribute shows, for Prince and Leonard Cohen, respectively. For Prince, I put together a big band and we had a blast opening the night by playing a medley of three big Prince songs–1999, Pop Life, and Raspberry Beret. For the Cohen tribute, I did a solo electric version of First We Take Manhattan. Odd fact? I almost opened our Luthier’s Co-Op show in October with a solo ukulele version of Careless Whisper, and now we have also bid farewell to George Michael. Yikes. Next, we ended the year with a raucous set at The Rendezvous to a small crowd during the first winter storm. Thanks very much to everyone who performed on stage with Mystics this year, and everyone who showed up to watch us do our thing. I hope we did you right. Finally, this year’s digital holiday single was a rendition of Baby, It’s Cold Outside featuring myself and Brandee Simone in an improvised duet. That was a blast to record, and I think it got the most eyeballs (or ear-somethings?) than any digital holiday single we’ve ever released. I hope you enjoyed it! So, 2016 wasn’t all bad. And what’s up for 2017? Well, one thing is for sure: I am embarking on the next Mystics project, and this one will be an experimental music project called De-Tunia. Look for tracks to be posted online throughout the year. And if you’ve read this entire blog post, and you’re paying attention to Mystics Anonymous, I want to thank you on behalf of myself and my fellow Mystics. Knowing there’s an audience out there helps a lot when things are tough or require a lot of work to make happen. Long live independent music!